My family took a trip to Hawaii for a cruise around the islands in 2014. It had been 24 years since we moved from Hawaii back to Arizona. 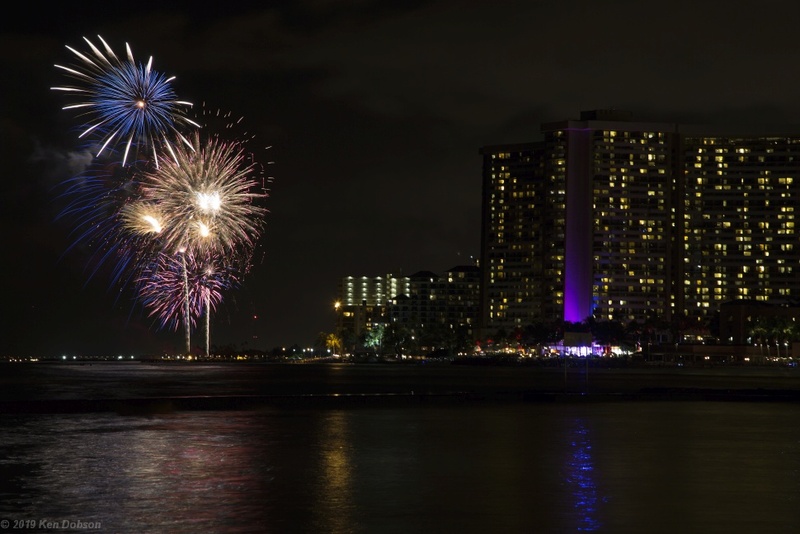 We had one night to stay before boarding our ship the next day, so I captured some fireworks on the beach of Waikiki for the 4th of July fireworks show.